Drai’s Nightclub “Live in Concert” Series A One-of-a-Kind Experience With the recent proliferation of the EDM DJs, Drai’s Las Vegas sought to provide a completely unique Nightclub experience that would enhance what many already consider the most beautiful venue in the city. The result was Drai’s Live in Concert Series which is a collection of celebrity/musician based events. Much different than the normal celebrity hosted events, however, Drai”s Live features full (40-60 minute) onstage performances. The crowning jewel of The Cromwell hotel, Drai’s Beach Club provides an unrivaled view encompassing the entire Strip and beyond. Designed and operated by lifetime industry professionals from Las Vegas and Miami, Drai’s rooftop oasis redefines the Beach Club experience.A world-class venue featuring live performances from renowned EDM artists, a full service gourmet kitchen, and an unforgettably iconic view, Drai’s takes entertainment, service, and dining to new heights. The venue features: - 13 mezzanine cabanas with private restroom and shower- 2 mezzanine grand cabanas with private restroom and shower- 3 pools- 9 bungalows sharing 5 private pools- 40+ daybeds and booths- 7 DJ booth tables- 4 full service bars- 1 gourmet kitchen Towering 11 stories above the city, Drai’s will change the way you see Vegas. 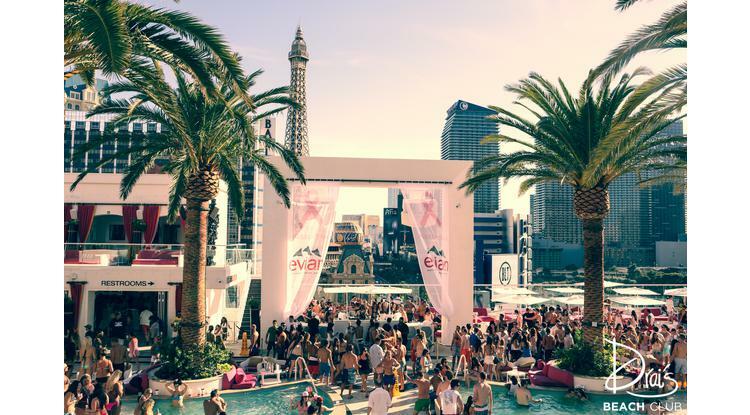 Drai’s rooftop oasis is redefining the Vegas entertainment experience.The crowning jewel of The Cromwell hotel, Drai¹s Nightclub provides an unrivaled view encompassing the entire Strip and beyond. Designed by lifetime industry professionals from the most revered venues in the world, every aspect has been considered, studied, and engineered to encompass originality. Meticulous attention to detail, massive LED lighting systems, and modern technology fuse to create a sensual, multi-sensory experience unlike any other on the Strip. 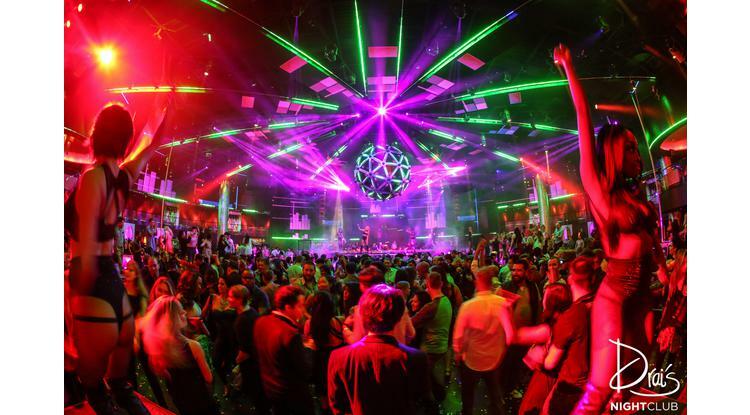 Created by nightlife impresario Victor Drai, this 65,000 square feet venue offers a multi-sensory environment taking entertainment and service to new heights.Located on the famous corner of Las Vegas Blvd. and Flamingo, Drai’s has quickly become the cradle of Vegas nightlife. Featuring world famous EDM DJs and a growing list of live shows by award winning musicians, Drai’s has taken Nightlife into uncharted territory. 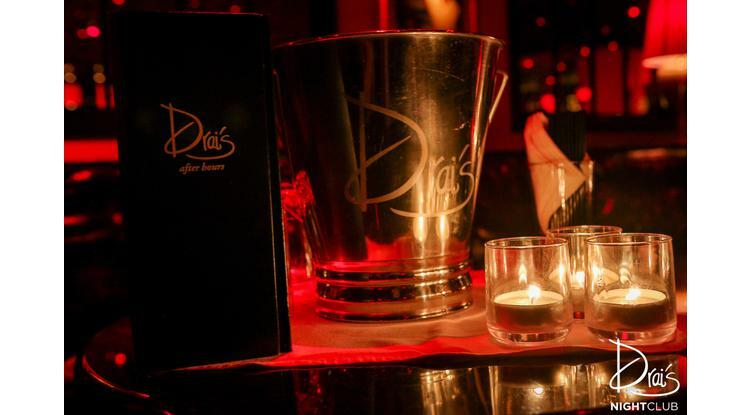 A venue defined by its spacious yet intimate feel, Drai’s After Hours exemplifies style suffused with luxury. Lit in seductive reds highlighting paintings of icons from the 1920s, After Hours provides an intimate setting to wrap up any night. Created by nightlife impresario and Night Club Hall of Fame inductee Victor Drai, After Hours offers a multi-sensory environment taking entertainment and service to new heights.Once you walk down the infamous stairs of After Hours you’ll find yourself transported into a pulsing underground scene with a party that forgot how to end. Find the laid back sense of wellbeing synonymous with a late night at Drai’s and stretch out in the comfort of one of our couches, or mingle with fellow guests in the casual wall-to-wall leather tables of the private Hip Hop room, or make the House Library your party command center for the night. Recently renovated, After Hours continues its reign as the best late night spot in town.